Kitchen remodels these days are less likely to be done with an eye to resell and more likely to be customized to reflect one’s personal style. With this rising trend, homeowners are now decorating to their taste and furnishing with appliances made to suit their lifestyle. Fortunately, it’s easier than ever before to get the personalized look and function that is in such high demand. For example, ILVE appliances are completely hand-assembled in Italy with the option to customize and build ranges just the way you want. 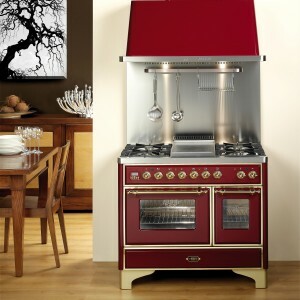 Homeowners can visit the ILVE Appliances website to see all of the available options, including over 200 colors, three decorative styles—from the Majestic, Nostalgie, or Techno lines— three trim finishes, four leg designs from sleek modern to ornate traditional, multiple stove top configurations and more. After choosing the ideal look and style for your range, ILVE allows you to take it one step further offering a variety of mix and match accessories. 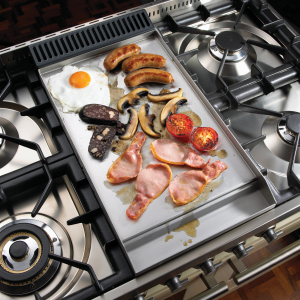 These unique add-ons such as a Gas Barbeque Grill, Wok Ring and Stainless Steel Griddle allow you to customize your range’s cooking surface with the unique ability to change it over time. 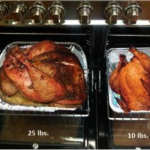 So if you want to change over from a bacon griddle to an oven top steamer or fish poacher, anything is possible. Additional optional accessories by ILVE include a chopping board, bain-marie warming basin and cast iron steak pans. 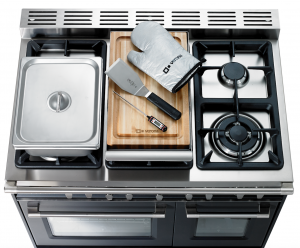 ILVE appliances and accessories epitomize the theory of customizing your space for your personal needs and lifestyle. Each accessory caters to different cooking styles and innovative ways to serve food. 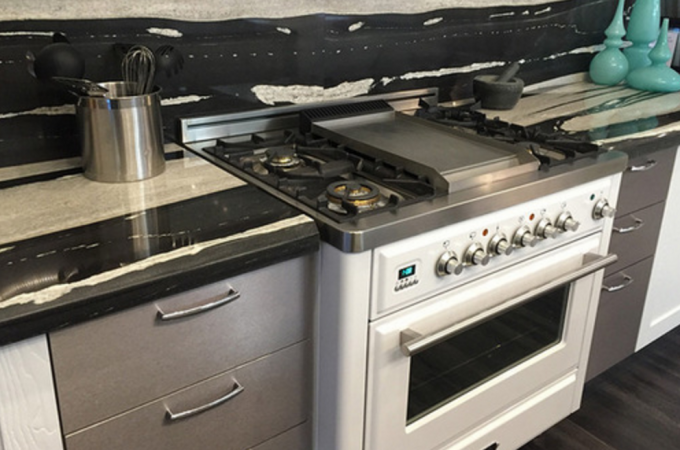 Verona Appliances, another Italian brand also imported by EuroChef USA, offers seven color finishes and two design series as well as optional handrail and leg choices so you can customize your look affordably. 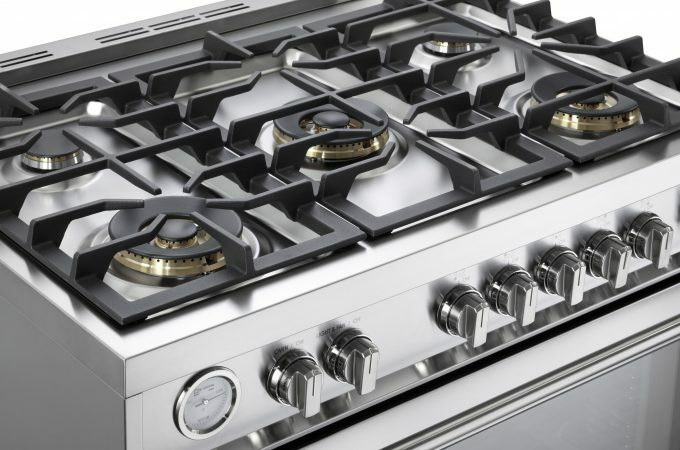 The stylish line of pro-style dual fuel, gas or electric ranges, as well as built-in ovens and cooktops, add beauty and efficiency to any kitchen. 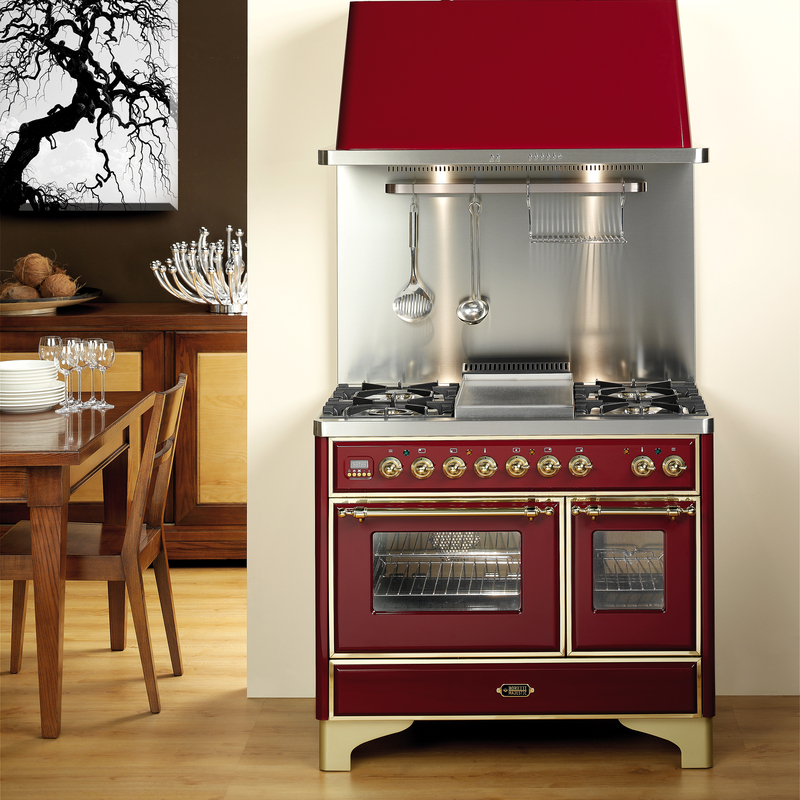 Verona’s appliances and accessories are perfect for the homeowner that loves to switch things up inside the kitchen. Many of Verona’s coordinating accessories in the Verona CHEFS PAK are interchangeable, removable and really allow you to customize your range according to what and how you like to cook. With all these endless customization options, your kitchen appliances have the opportunity to reflect your personal style in any way you can dream of!